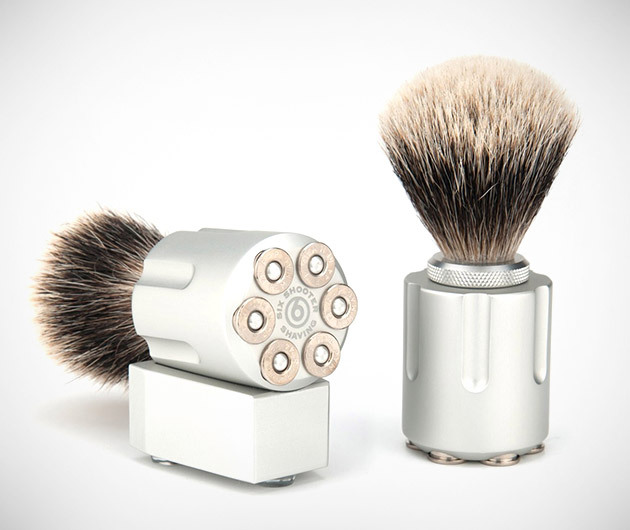 How do you make a shaving brush more manly? Add bullets. Well, not real bullets, obviously, you don't want to end up doing an accidental Kurt Cobain now (cue hate mail). Six Shooter Shave Brushes boast badger hair bristles and a body forged in the likeness of a .44 caliber revolver cylinder. Available in black, silver and gold finishes.